An ancient form of unarmed combat originating in South Korea. 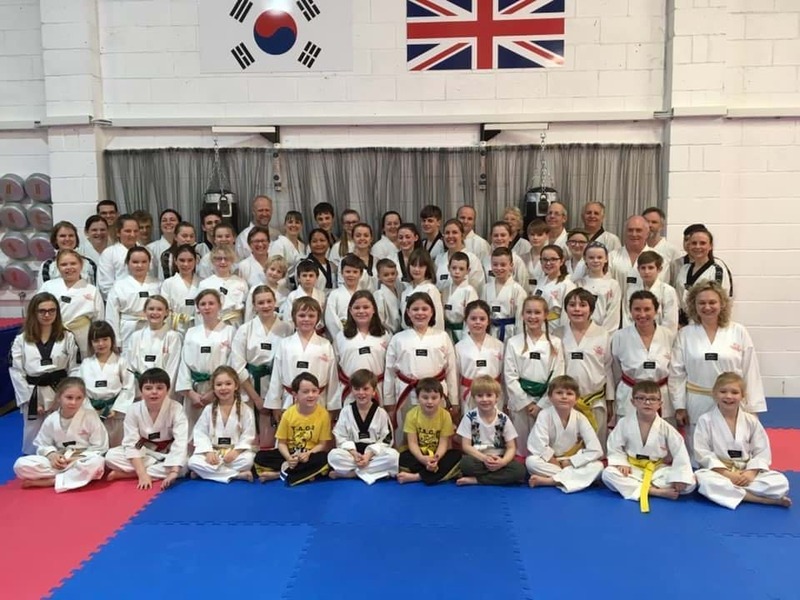 Translated, Tae Kwon-Do means 'Way of the foot and hand'. View training information and class timetables. 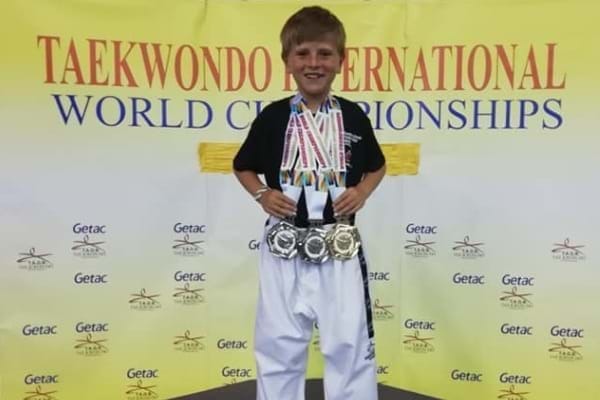 In 2018 one of our junior students became a World Champion! If you want more than just great fun and exercise, if you're dedicated the world is yours for the taking. If you want more than great fun and exercise, and you're dedicated, the world is yours for the taking. We train hard, but we're a friendly bunch and have lots of fun. Please get in touch to arrange your free taster session.